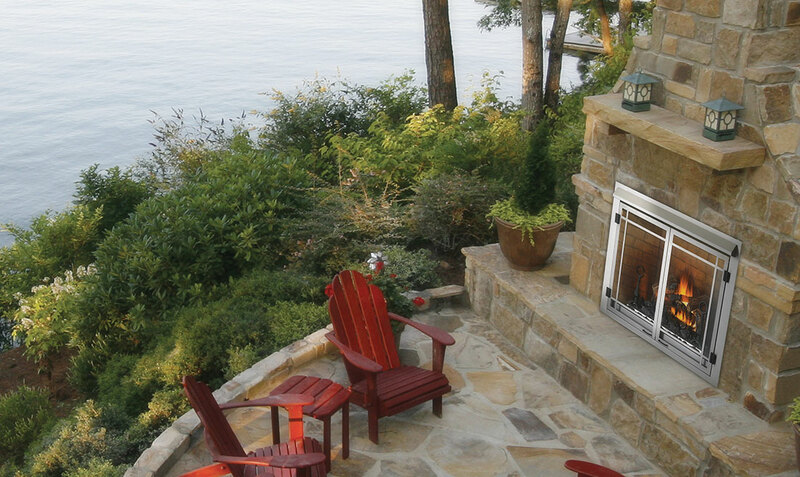 Accent your backyard and immerse yourself in the enjoyment of outdoor living. The Napoleon Riverside® 42 Outdoor Gas Fireplace is constructed with 100% stainless steel for maximum durability and weather resistance. The Riverside® 42 outdoor gas fireplace features Napoleon’s PHAZER® log set, heat resistant glass and stainless steel double doors so you can enjoy the view of the burning fire. No venting or chimney required making installation simple and installation ideas endless.